Has lost 100 kg over its predecessor. 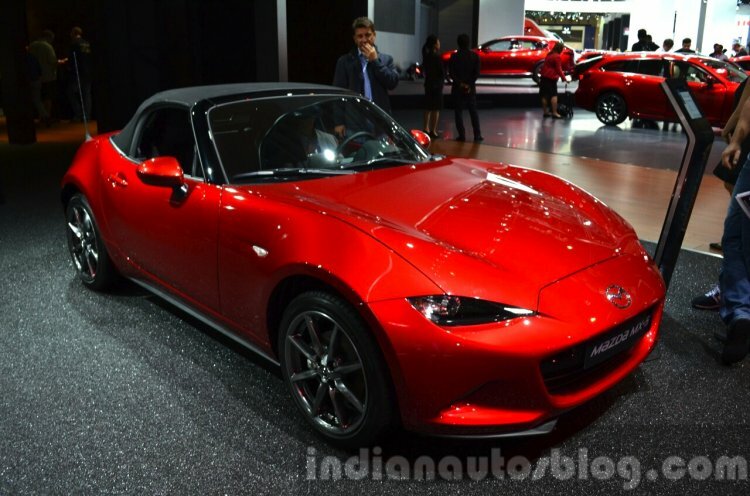 Mazda showcased the fourth generation of the iconic Mazda MX-5 Miata at the Frankfurt Motor Show, which was held in September last year. The body fuses sharp lines with smooth and rounded bodywork. The design of the MX-5 is a mix of angular lines with curved body surfaces that follows the 'KODO - Soul of Motion' design language. The roadster is based on an all-new platform that sheds 100 kg of weight from its predecessor. The compact dimensions have been retained; it length is 105 mm shorter, height is lower by 20 mm but the width has witnessed a marginal increase of 10 mm. The engine has also been pulled back giving it an almost front mid-engine layout. On the inside, the MX-5 has a simple but functional layout, with the emphasis on the driver getting important information while staying focused on the road. Mazda says that this has been achieved through their new generation Human Machine Interface (HMI) and thoughtful positioning of essential controls like steering wheel, pedals, gear shifter and rotary controls. Connectivity has been taken care of by the independent 7-inch display, equipped with MZD Connect that supports voice control and navigation. The compact dimensions of the roadster have been retained. 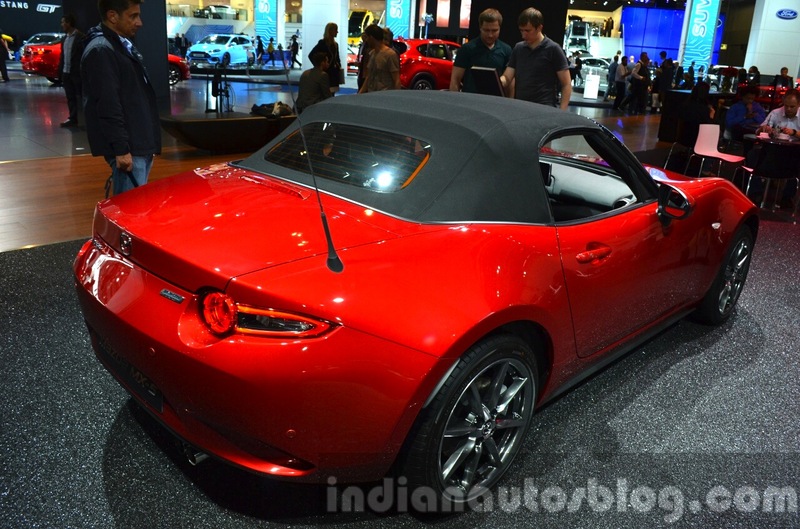 Power to the Mazda MX-5 is provided by two petrol engines namely, SKYACTIV-G 1.5 or SKYACTIV-G 2.0. The 1.5-liter unit produces 131 PS and 150 Nm of torque with the larger 2.0-liter mill managing 160 PS and 200 Nm of peak torque kicking in at 4,600 rpm. Both engines are mated only to the SKYACTIV-MT 6-speed manual gearbox. The car was not the only display. The automaker also spread out a host of accessories that could be configured with the soft-top to make it safer, more stylish or more practical. These ranged from cosmetic elements such as different alloys, aluminium-finished side mirror covers and front lip spoiler to functional pieces such as floor mats, drilled pedals and carbon-fiber luggage rack. Parts relating to safety such as roll-over bars and roll hoops were also seen.